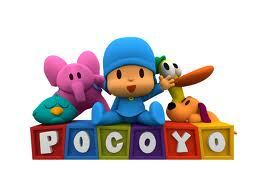 Pocoyo is a child like any other: curious, mischievous, restless, loves to have fun and learn new things every day. Everything is new and exciting in Pocoyo’s world. Everything is yet to be discovered. Elly is a fun, smilely and surprisingly flexible pink elephant. As the oldest of Pocoyo's friends, she helps make most of hte important decisions. Elly is very strong and has great balance which helps her when she's riding her scooter, picking things up and dancing ballets beautifully. Pato is Pocoyo’s best friend. He is a good and loyal duck andloves to wear his green hat, but he's frightened of anything new. Pocoyo's bravery and adventurous spirit helps Pato to try new adventures. She is a very, very tired bird. Although it may seem like she only wakes up to turn off the alarm clock, Pocoyo is very good at waking her up and getting her to join him and his other friends in playing games or enjoying new adventures. Loula is Pocoyo’s pet dog. She always wants to play even when everyone else is tired. She never leaves Pocoyo’s side and follows him on every adventure! Baby Bird is Pocoyo's newest friend! 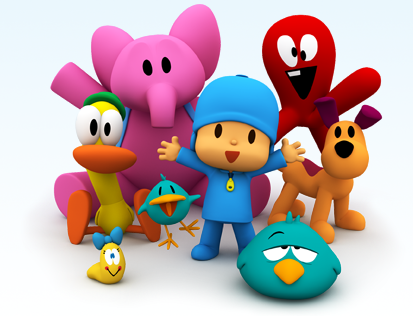 Happy, determined and brave, Baby Bird always gets attention from Pocoyo and his friends. And since Baby Bird has a lot more energy than Sleepy Bird, Baby Bird is always fluttering about happily, eager to join in the fun adventures of Pocoyo and his exciting friends. Although she's very small in size, Caterpillar's big appetite has caused some trouble for Pocoyo and his friends. Pocoyo feels like a big brother to Caterpillar, who can be very charming. Her playful nature and her enjoyment in discovering new things makes her a favorite friend to all. Fred is an odd but friendly red octopus who comes out of the sea to share in the fun with Pocoyo and his friends on dry land. Fred is very, very funny. He also loves surprises, is unpredictable and a litte crazy sometimes. He also turns everything into a game, which is why Pocoyo loves to have Fred play with him and his friends. Pocoyo is Vito's new friend. He realy loves him and also his fantastic friends. 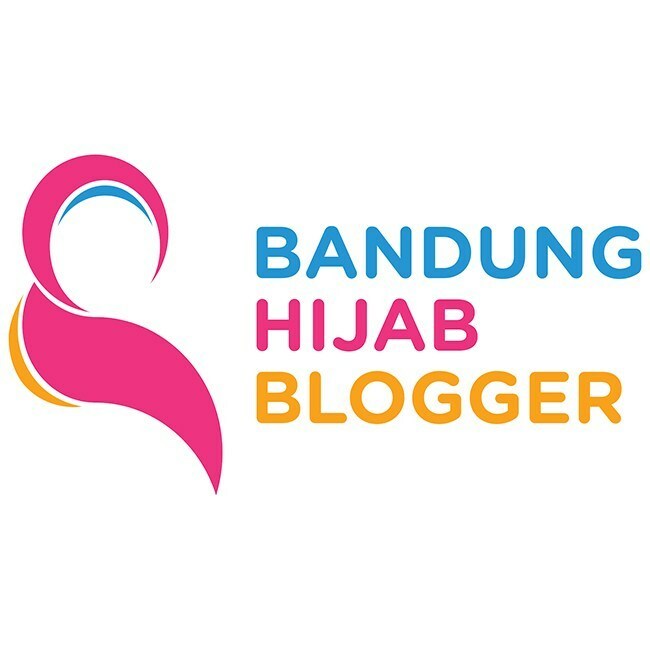 Pocoyo has some good values The Pocoyo concept goes beyond the television screen, touches children’s, parents’ and carers’ lives, and also promotes a philosophy of curiosity, sincerity, interest, tolerance and respect – values which we consider fundamental. For Vito's 1st anniversary we set little surprise party "Pocoyo's world", He was very excited and happy as well.